As a security precaution, you will be prompted to reset your password when you first log back in – this will only take a few moments, and then you'll be able to add comments to stories just as you did before. Whilst carrying out the work, we took the difficult decision not to re-open the forums but to instead encourage discussion within the site comments and via our social networks. So as well as commenting on individual stories, here are some other ways you can talk to us. 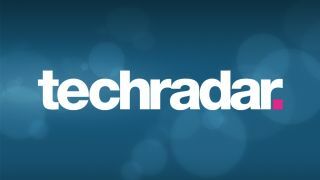 Our main TechRadar Twitter account is @techradar. For the latest on mobile phones, there's @TR_Phones, for camera fans there's @TR_Cameras, and for tablet goodness you'll want @TR_Tablets. We're also on Google+ if you'd like to add us to your circles, we post pics of the coolest new kit on the TechRadar Pinterest boards, and our videos can be found on the TechRadar YouTube page. We're very grateful for your patience while this important site work was being carried out and we look forward to seeing you back in the comments.